A cooperation agreement between Kaluga Region Government and Orac n.v. was signed on December 14, 2016 in Moscow. The agreement provides for implementation of an investment project envisaging the construction of a production facility to manufacture Orac Decor innovative decorative synthetic moldings and decorations. 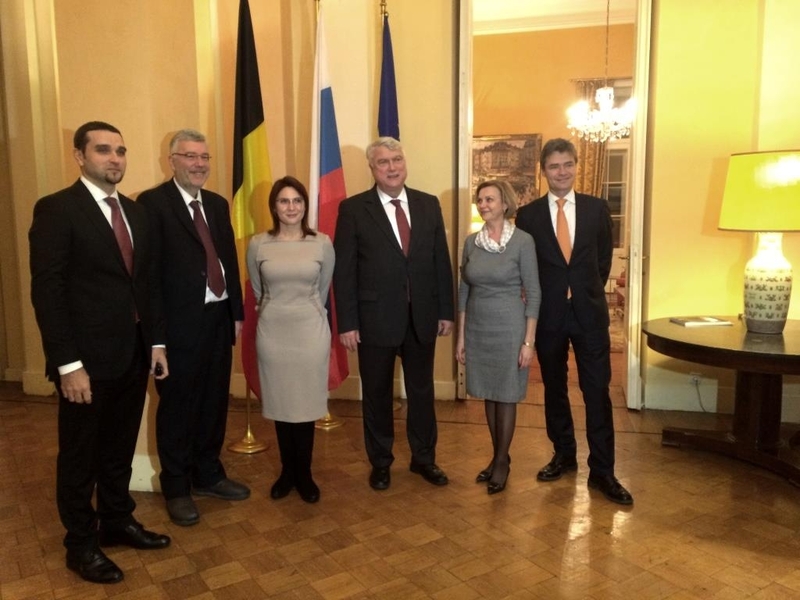 The ceremony was attended by Jean-Arthur Régibeau, Belgian ambassador to Russia. Scope of investments – RUR 200 million. About fifty new jobs are to be created. The project is to be implemented in Vorsino industrial park, the largest industrial site in Kaluga Region. The new production facility is to be built at a 3.3 ha land plot. ORAC n.v. was established in Ostende, Belgium, in 1970. Today the company applying innovative technologies manufactures a wide range of interior moldings, including such dimensional products columns, pedestals, and domes. ORAC n.v. operated two plants. The first one is located in Ostende, Belgium, and the second one in Lipany, Slovakia. The company exports its products to over 60 countries of the world. Among the most prominent projects implemented with the use of the company’s products are Moscow Kremlin, a number of Moscow theaters, Marriott hotel in Cologne, Royal Palace in Madrid, Sheraton hotel in Berlin, palaces, temples, and abbies in the UK and France, as well as shops belonging to Tommy Hilfiger chain. Yves Taillieu, Orac n.v. CEO, said: “Orac n.v. production facility located in kaluga Region will be our third plant in the world and the first one in Russia. Russia is a very promising and strategically important market for us. We expand the pool of our business partners in Russia and invite Russian designers to join our professional team. We are open for new ideas, which will be implemented in Russia. Our core values are to preserve the best architectural traditions and to invent new innovative technologies”.